This is a recipe where hot and spicy peanuts are fried with delicious mix of spices,which is totally impossible to resist. This makes a great snack or munch when you sit, relax, chat with your family or watch TV or playing games with family or friends. If you are bored of eating regular peanuts, try this zesty recipe. 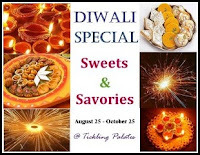 It is also made during Indian festivals like Holi, Diwali etc. 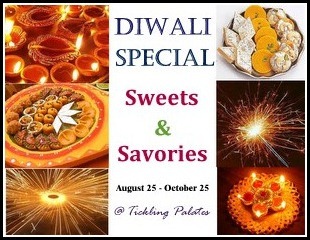 Serve this snack with some sweets to your friends when they visit you next Diwali or Holi and make them happy. It is a great party food, too. Goes well with cocktail or any kind of drinks, or with a cup of hot tea. The most important part of this snack, you can make this ahead of time and store in an airtight jar for 3-4 weeks. You guests will wonder where did you get them from. You can get this snack also from Indian Grocery stores, but most of them are with a stinky smell of oil. Spend 15 minutes in your kitchen and get a freshly made, healthy snack which will be loved by everyone, even good for kids. Store and munch whenever you feel like. One of the university culinary degrees online may be of interest to people who want to learn more innovative recipes like this. Most of us avoid Nuts for fear of weight gain. But friends, do you know, A prospective study published in the journal Obesity shows such fears are groundless. In fact, people who eat nuts at least twice a week are less likely to gain weight than those who almost never eat nuts. So munch your peanuts without any fear at least twice a week. Hurray!! Now I'll munch even more than before..I love peanuts!!!!! In a pan, dry roast peanuts for 3-4 minutes in medium heat, remove and let them cool for few minutes. Prepare the spice mix. After peanuts cool a little, take them in a big bowl along with all the ingredients except oil and water. Heat oil in a pan, the oil should be at least 1 inch high. To check if the oil is ready, put one drop of batter in the oil. The batter should raise to the top but not change color right away. Put the heat in medium-low. 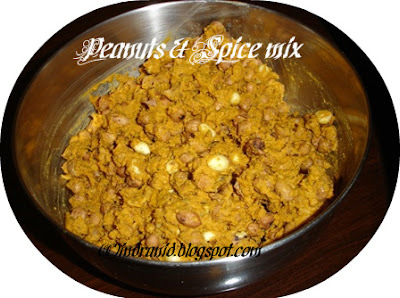 Take a handful of peanuts mix, try to seperate each peanut while dropping, by moving your finger through the mix. Wait for a minute. Try to seperate further if there are some lumps. Stir occasionally until they turn brown in colour. Fry for at least 5-6 minutes in medium flame for crispier peanuts. When done, take them out with a slotted spoon and place on a kitchen tissue to absorb extra oil. After cooling to room temperature, peanuts will be more crispy. Fry rest of the peanut mix same way as above. Finally, store to an airtight jar for further use, can store for at least 2-3 weeks. 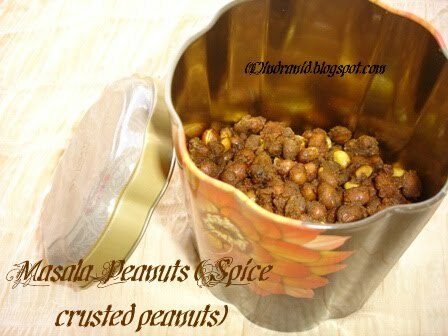 Sending this crunchy munchy peanuts to Radhika's "Diwali SPecial event - Sweets & Savories"
wow, easy and quick one. 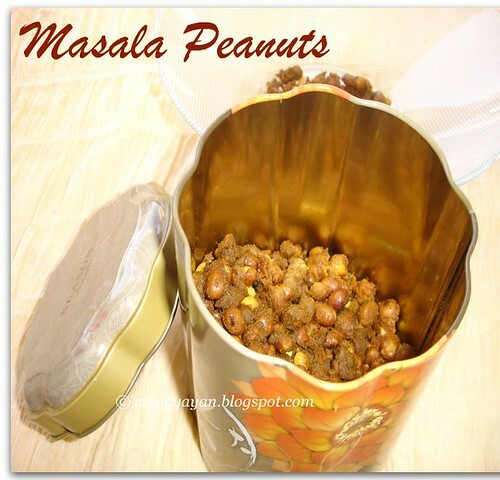 Crunchy munchy peanuts looks fabulous and quite addictive.. 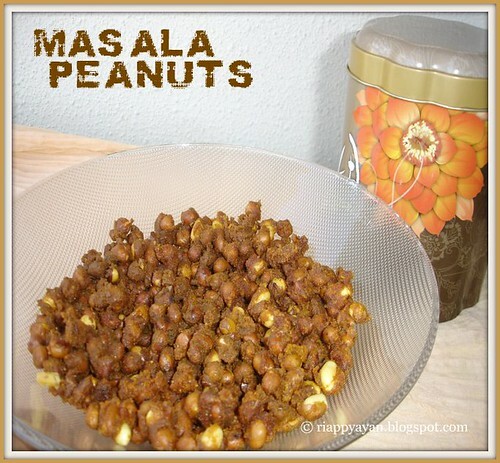 I just had maiyaa's masala peanut this AN. loved ur post. bookmarked ! !